Lots of important reminders this week, with links to our website for extra information! Please take the time to look through this email carefully and, as always, get in touch if we can help with any questions. 21 Jan – Parent Workshop led by Clive Leach focusing on ‘Resilient & Resourceful Young People’. We have 130+ people coming, so please book now if you’d like to join us. 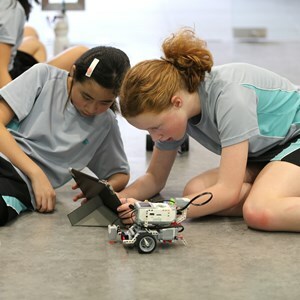 21 Jan – Please remember that ECAs are cancelled today. Teacher training from 3pm onwards. No late buses. 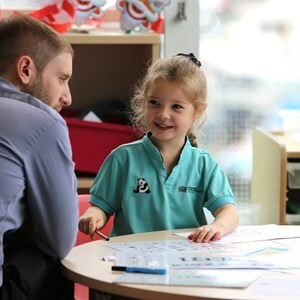 29 Jan – Parent Workshop: Learning Through Play. Led by Mrs Patsy Morgan. 29 Jan – PTA Quiz Night: 7pm for a 7.30pm start. Don’t worry if you don’t have a team. Come along and we’ll make up the teams on the night! 5 Feb – PTA Valentine’s Disco. A flyer has been sent out this week in your child’s school bag or see the attached for details. Please remember that ECAs are cancelled but there is the late bus available. The wait has finally ended! 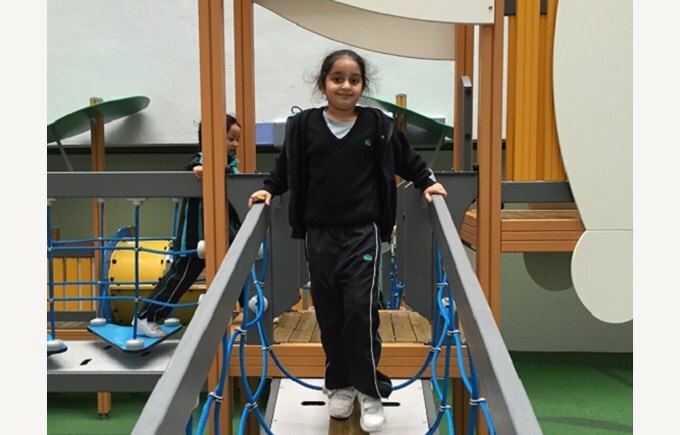 Huge excitement this week as the Panda Playground opened and our pupils got to run, climb and jump during their break times. We really are delighted to have such a great space for the children, and we’re adding more activities in the coming week. Can I take this opportunity to thank you all for your patience as we safely completed the construction – and passed the strict government inspections – for our link bridges and playground. A huge congratulations to you all! Also, a special thanks for Skylar Zhu for playing the piano at the start of today’s whole school assembly. The February menu is now on the website. If you would like to order in advance (mandatory for Years 1 and 2), please could you print the form and return it with a cheque in your child’s school bag. Please mark the envelope: “School Lunch”. 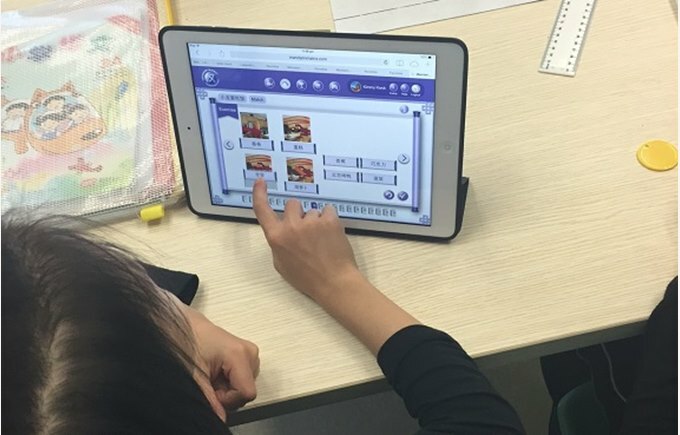 For the older years, as usual the children may use their Octopus card to buy lunch. Please continue to bring a snack for the morning break. This week, Mrs Mariam Khalik, one of our Additional Support Needs teachers, spoke to parents about different learning styles in our children. As parents, we know that our children learn differently, but we’re often unsure about how to adapt to these styles. A big part of High Performance Learning is looking at how each child learns and tailoring the teaching to their strengths. Mrs Khalik gave a great introduction today to how we achieve this in our classrooms. Click here for the link. Clive Leach: 21 Jan, 8am to 10am in the Hall – We have more than 130 parents signed up for our amazing Workshop with Clive Leach. Mr Leach will be spending the rest of the day in training sessions with our Senior Leadership Team, Heads of Houses, Year Leaders and Year teachers. Please remember that on this day there are no ECAs or late buses. Our Additional Support Team, led by Ms Jane Henderson, will be hosting one of its regular – and very relaxed – coffee mornings on 22 January at 8.30am. There are no formal presentations, it’s simply an opportunity to come in a chat and get to know our amazing ASN team better. 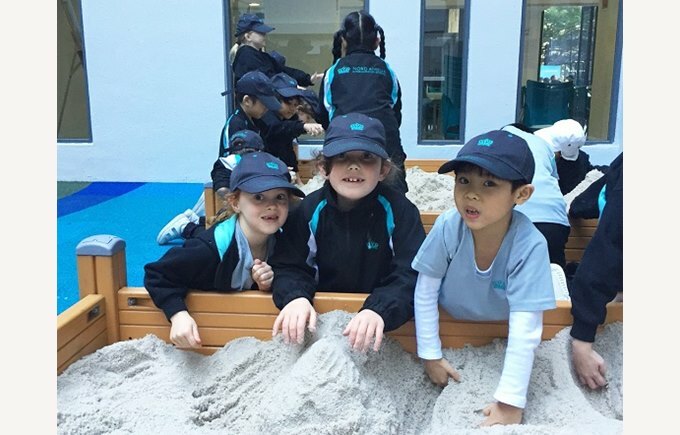 On 29 January, our parents will get the opportunity to hear more about “Learning Through Play in Key Stage 1” (for Years 1 and 2) from Mrs Patsy Morgan. This practical workshop will focus on what children can learn through play and offer some practical tips on what you can do to support this. 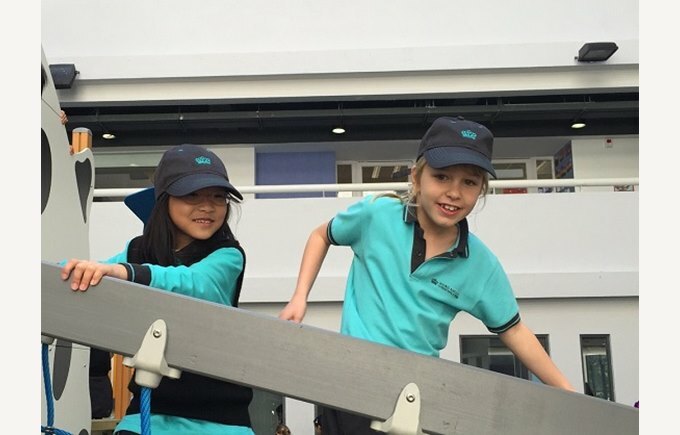 There are some amazing activities in the Global Classrooms – please click here to find out more about the Primary Book Club section; a creating a song challenge; the "Somewhere Unforgettable" Creative Writing Competition and the Make it Right Challenge to support the refugee children of Syria. You’ll hear more about the Make it Right Challenge events over the next few weeks. 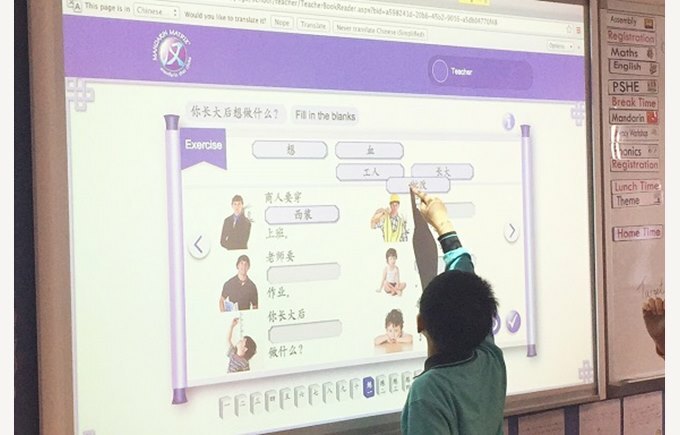 This week all our pupils have been getting to know their new Mandarin teaching resources called Mandarin Matrix. 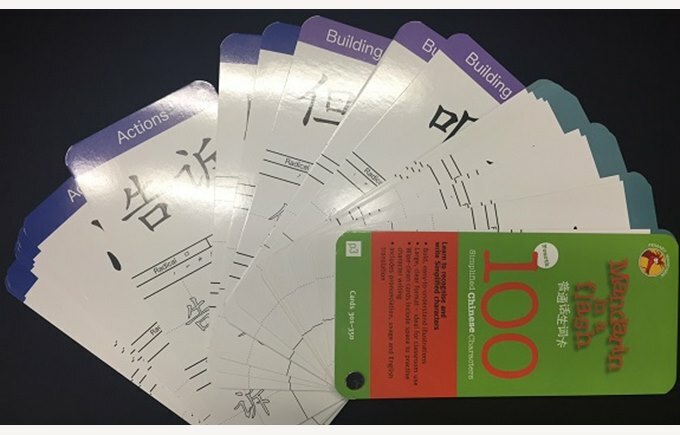 This is a series of books and online resources that we feel offer a more engaging way for children to access the language. We also had our Head of Mandarin from our schools in Beijing to offer intensive training to our new teachers. 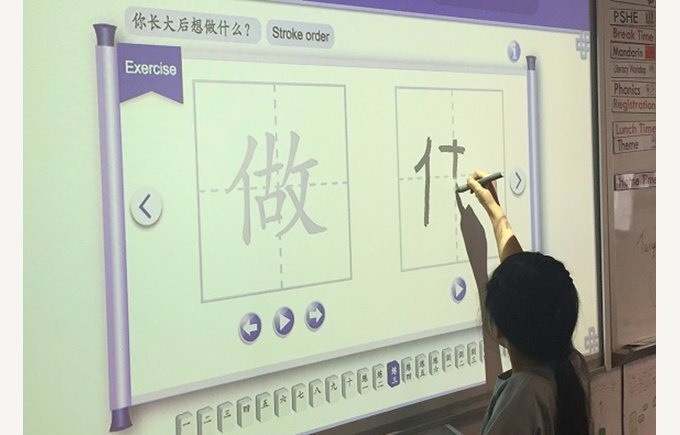 We’ll be sharing more information on our Mandarin programme for all pupils over the next few weeks, but you can also see a good overview of where we are now on our website. 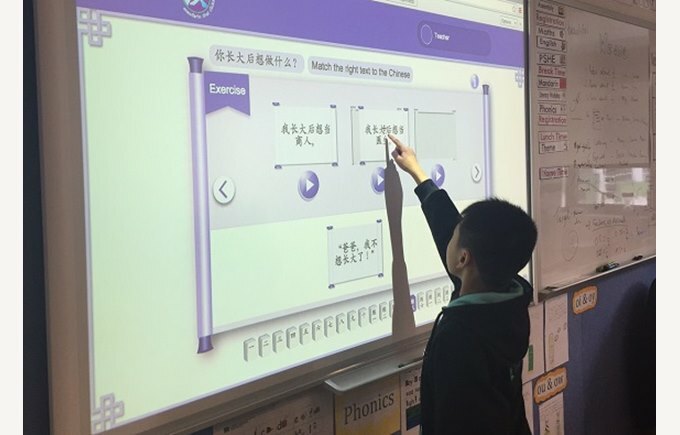 In the meantime, we’ve popped some photos on our Facebook site of our Year 4s using Mandarin Matrix. Thank you to all the parents that have emailed me to express an interest in meeting other hiking friends through the school. I’m going to be connecting you all together next week and then starting to share a few hikes (both during school hours, and at the weekends) on our Facebook page. Please do get in touch (Rebecca.merrett@nais.hk) if you’ve not yet sent me your details. 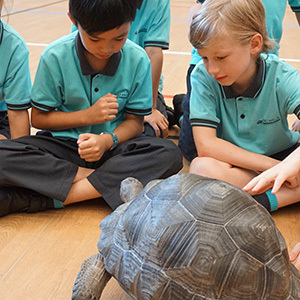 One of the lovely things about being part of such a large family of schools, is that we get to share some of the amazing events that are happening elsewhere in our network. During the Easter break, for example, our school in Beijing is hosting the NAE China Manchester United Soccer School Camp from 31 March – 2 April 2015. We’ll be sharing more details on this next week, so if your child is a keen footballer, watch this space. 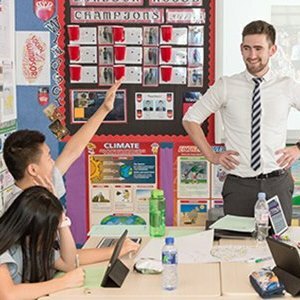 If you miss the Easter Camp, don’t worry, they’ll be taking place again in our Shanghai schools over the summer holidays. Finally, Mr Cooklin’s regular “Principal’s Blog” has just been uploaded to our website. You can read it here.